Springer shares the mic with his friend of 45 years, Jene Galvin. The two met during Springer’s political years in the early 1970’s in Cincinnati and have shared a brotherly bond ever since. Bringing the female perspective is Megan Hils. Both Hils and Galvin worked on Springer’s Air America radio broadcast for its two year run. Back together the three fell into a rhythm of talking about topics ranging from politics, current event and tough social/political discussion to radio-comedy skits, interviews, music and lots of humor. Among the conversations on the podcast is with a Freedom Rider who spent 42 days in a Mississippi prison in 1961 singing songs to pass the trying hours, a discussion of whether teachers should be armed to protect their kids from violent attacks, and celebrity parodies of Sarah Palin and Ann Coulter are among the unpredictable possibilities. 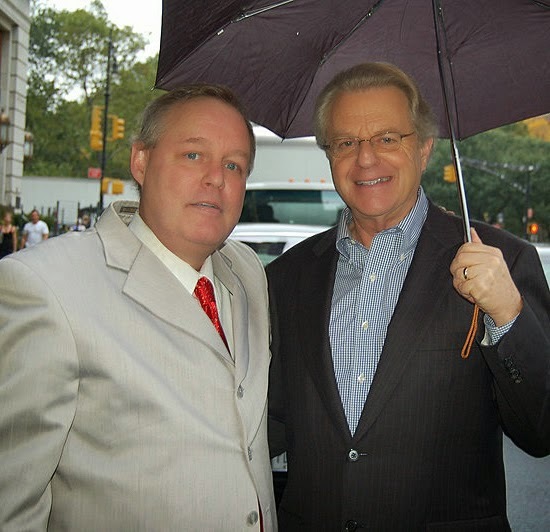 Tune in and get your dose of Tales, Tunes and Tomfoolery at www.jerryspringer.com.